There are a variety of ways to assess a student’s progress and understanding. Two of the primary methods are formal and informal assessments. Formal assessments include tests, quizzes, and projects. 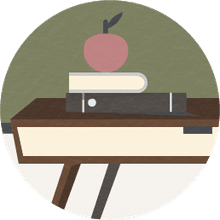 Students can study and prepare for these assessments in advance, and they provide a systematic tool for teachers to measure a student’s knowledge and evaluate learning progress. Informal assessments are more casual, observation-based tools. With little advance preparation and no need to grade the results, these assessments allow teachers to get a feel for student progress and identify areas in which they might need more instruction. Informal assessments can help teachers pinpoint students’ strengths and weaknesses and guide planning for upcoming lessons. 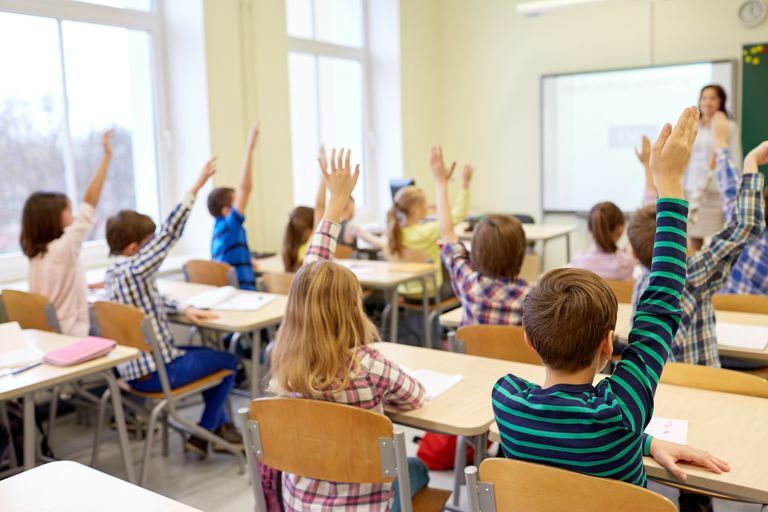 In the classroom, informal assessments are important because they can help identify potential problem areas and allow for course correction before students are required to demonstrate understanding on a formal evaluation. Many homeschooling families prefer to rely almost entirely on informal assessments because they are often a more accurate indicator of understanding, particularly for students who don’t test well. Informal assessments can also provide vital student feedback without the stress of tests and quizzes. Following are just a few examples of creative informal assessments for your classroom or homeschool. Observation is the heart of any informal assessment, but it is also a key stand-alone method. Simply watch your student throughout the day. Look for signs of excitement, frustration, boredom, and engagement. Make notes about the tasks and activities that elicit these emotions. Keep samples of student work in chronological order so that you can identify progress and areas of weakness. Sometimes you don’t realize how much a student has progressed until you compare their current work to previous samples. Author Joyce Herzog has a simple but effective method of observing progress. Ask your student to do simple tasks such as writing an example of each math operation he understands, writing the most complicated word he knows he can spell correctly, or writing a sentence (or short paragraph). Do the same process once a quarter or once a semester to gauge progress. We often think of oral presentations as a type of formal assessment, but they can be a fantastic informal assessment tool, as well. Set a timer for one or two minutes and ask your student to tell you what he’s learned about a particular topic. For example, if you are learning about parts of speech, you could ask your students to name as many prepositions as they can in 30 seconds while you write them on the whiteboard. list ways that you could help them understand a topic better. Let your students write questions for each other on a piece of paper. Instruct students to crumple their paper, and let them have an epic paper wad fight. Then, have all the students pick up one of the paper balls, read the question aloud, and answer it. This activity wouldn’t work well in most homeschool settings, but it’s an excellent way for students in a classroom or homeschool co-op to get the wiggles out and check their knowledge on the topic they’ve been studying. Four Corners is another fantastic activity for getting kids up and moving while also assessing what they know. Label each corner of the room with a different option such as strongly agree, agree, disagree, strongly disagree, or A, B, C, and D. Read a question or statement and have students go to the corner of the room that represents their answer. Allow students a minute or two to discuss their choice in their group. Then, choose a representative from each group to explain or defend that group’s answer. Let your students play matching (also known as concentration) in groups or pairs. Write questions on one set of cards and answers on the other. Shuffle the cards and lay them, one by one, face down on a table. Students take turns turning over two cards trying to match a question card with the correct answer card. If a student makes a match, he gets another turn. If he does not, it’s the next players turn. The student with the most matches wins. Memory is an extremely versatile game. You can use math facts and their answers, vocabulary words and their definitions, or historical figures or events with their dates or details. At the end of each day or week, have your students complete an exit slip before leaving the classroom. Index cards work well for this activity. You can have the questions printed on the cards, written on the whiteboard, or you can read them orally. This is an excellent activity for gauging what students have retained about the topic they are studying and areas which may need more explanation. Supply the tools and let students show you what they know, explaining the process as they go. If they’re learning about measurements, provide rulers or a tape measure and items to measure. If they’re studying plants, offer a variety of plants and let students point out the different parts of the plant and explain what each does. If students are learning about biomes, provide the settings for each (drawings, photos, or dioramas, for example) and model plants, animals, or insects that one might find in the biomes represented. Let students place the figures in their correct settings and explain why they belong there or what they know about each. Drawing is an excellent way for creative, artistic, or kinesthetic learners to express what they’ve learned. They can draw the steps of a process or create a comic strip to depict a historical event. They can draw and label plants, cells, or the parts of a knight’s armor. Crossword puzzles make a fun, stress-free informal assessment tool. Create puzzles with a crossword puzzle maker, using definitions or descriptions as the clues. Accurate answers result in a correctly-completed puzzle. You can use crossword puzzles to evaluate understanding on a variety of history, science, or literature topics such as states, presidents, animals, or even sports. Narration is a method of student evaluation widely used in homeschooling circles and inspired by Charlotte Mason, a British educator, at the turn of the 20th century. The practice involves having a student tell you, in his own words, what he has heard after a read-aloud or learned after studying a topic. To explain something in one’s own words requires comprehension of the subject. Using narration is a useful tool for discovering what a student has learned and identifying areas that you may need to cover more thoroughly. Invite students to act out scenes or create puppet shows from topics they’ve been studying. This is especially effective for historical events or biographical studies. Drama can be an exceptionally valuable and easy-to-implement tool for homeschooling families. It’s common for young children to incorporate what they’re learning into their pretend play. Listen and observe as your children play to evaluate what they’re learning and what you may need to clarify. Another option is to ask students to give a thumbs up, a sideways thumb, or a thumbs down to indicate fully understand, mostly understand, or need help. Or use a five-finger scale and have students hold up the number of fingers that corresponds to their level of understanding. You may also want to create a self-evaluation form for students to complete. The form can list statements about the assignment and boxes for students to check if they strongly agree, agree, disagree, or strongly disagree that the statement applies to their assignment. This type of self-evaluation would also be useful for students to rate their behavior or participation in class.